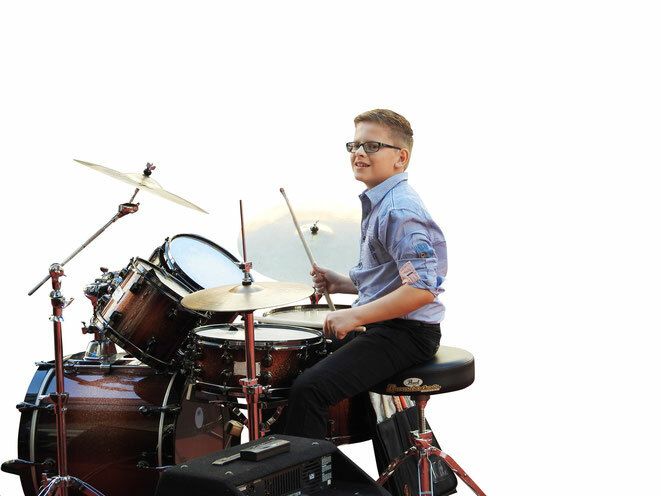 Luca Schambeck was born in 2002 in St. Gallen (Switzerland) and is playing drums since 2007. Between January 2015 and Summer 2016 he was drummer of „Dai Kimoto’s Swing Kids“. He is in the third class of secondary school, department talent school for musicians. His teachers are Orlando Ribar (drums), Marcel Schefer (piano) and Nathalie Merten (vocal training). At the moment, he is founding his own jazz-band with former members of the Swing Kids: Sophie Bright (trombone and trumpet) and Leandro Graschi (piano). Luca Schambeck performed already with Claude Diallo (p), Amik Guerra (trp), Pepe Lienhard (sax) and many more.